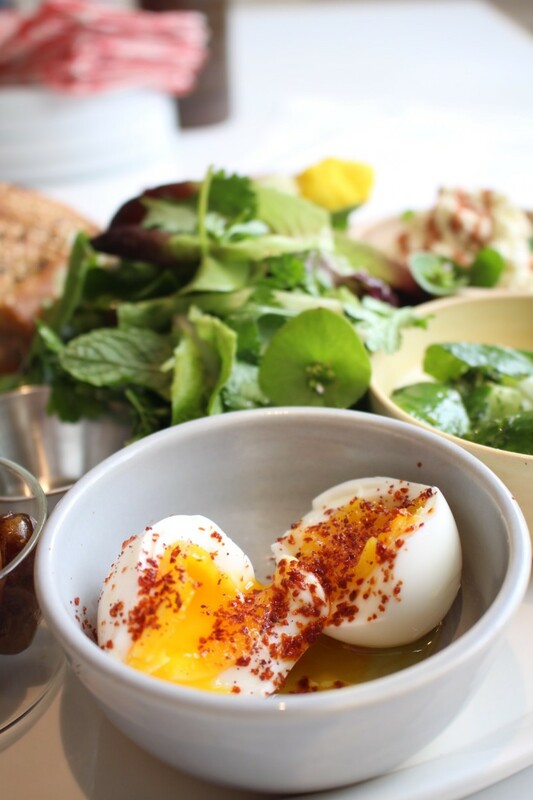 You can have L.A.'s hottest brunch item, anywhere. 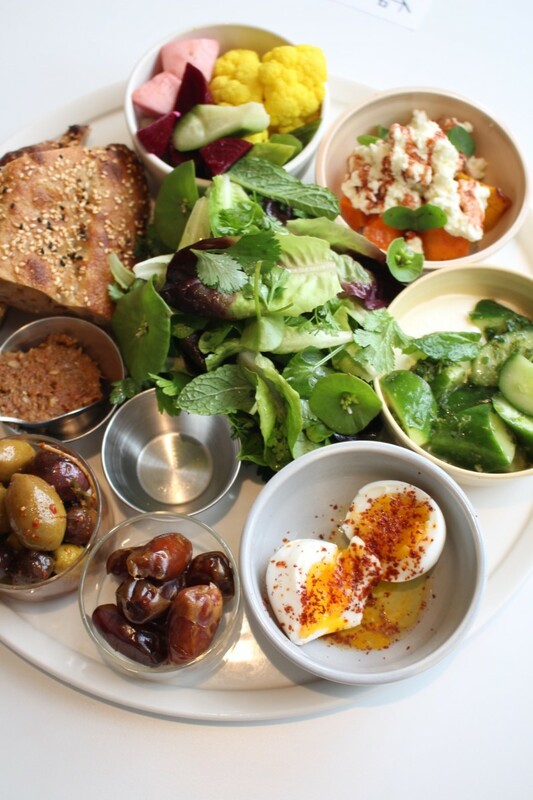 "The first thing you need to know is we aren&apos;t a Turkish restaurant—in fact, we&apos;re very much the opposite," Sara Kramer tells us, gesturing to the sun-soaked dining room in her month-old (not Turkish) restaurant. 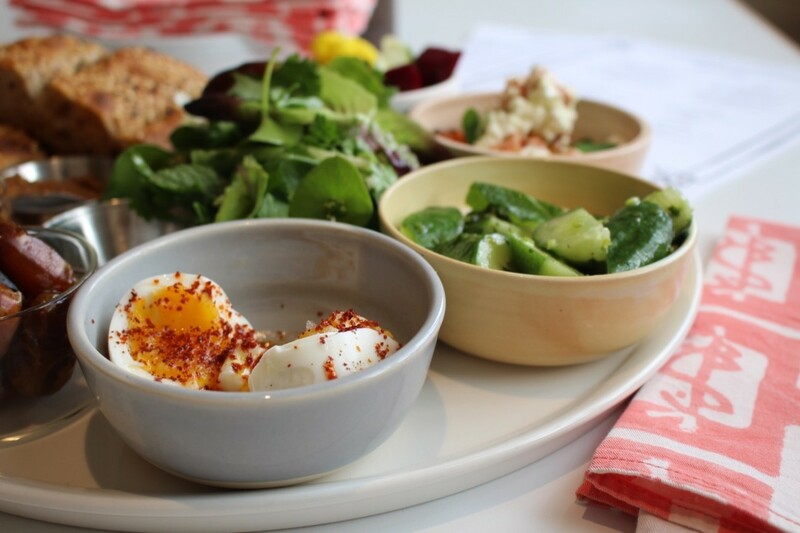 "We want that to be apparent from the moment you look at the menu—that&apos;s why we have a &apos;salad-y&apos; section, not a &apos;meze&apos; section, and a Turkish-ish Breakfast." 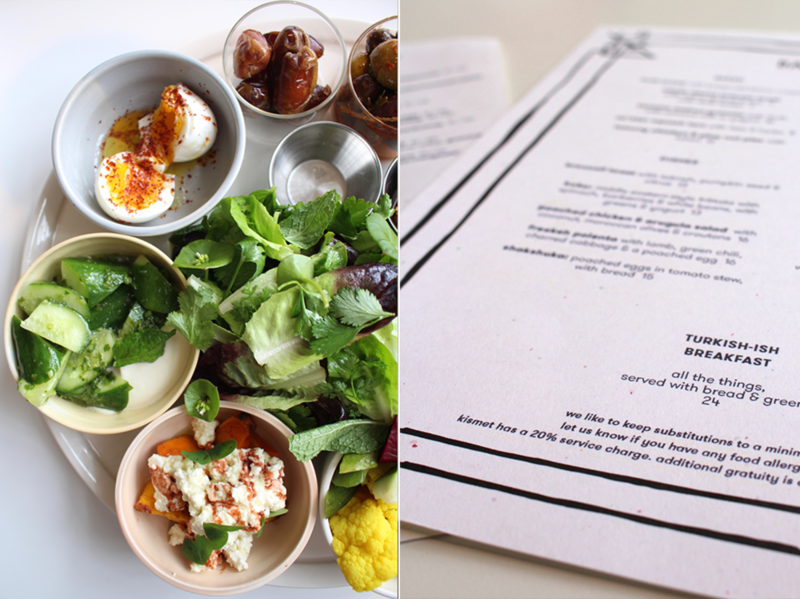 Even before we tasted the Turkish-ish Breakfast—which we made a point of doing within a week of the restaurant opening—we knew we&apos;d love it. 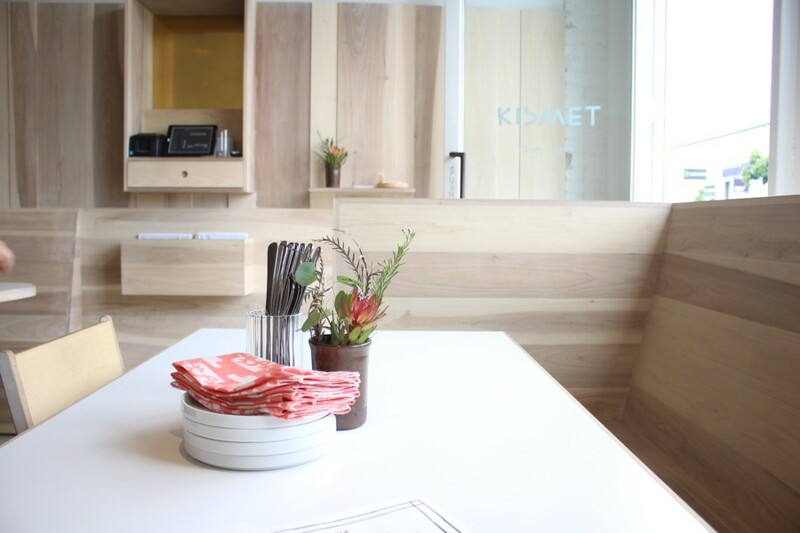 Kismet is the joint-venture of Sara Kramer and Sarah Hymanson of Grand Central Market&apos;s Madcapra and the team behind Jon and Vinny&apos;s (which, if you ask Emily and Geoffrey, has the best salad in the city). In other words, if we could draft a dream team to create our ideal restaurant, this would be it. 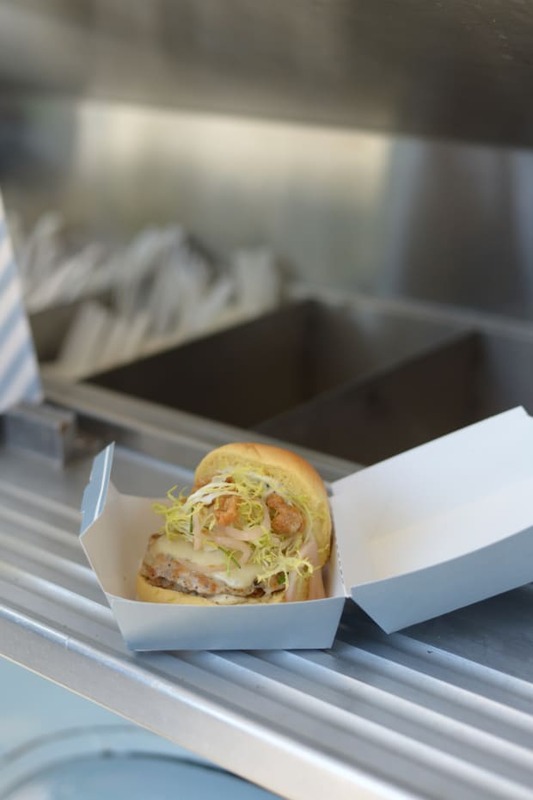 "I come from an Israeli background, so [Middle Eastern] cuisine feels really close to my heart," Kramer explained as the inspiration behind the concept, "but people aren&apos;t really giving a facelift to it—they&apos;re doing a lot of American, French, Spanish, and Italian, but Middle Eastern has been largely untapped until now. 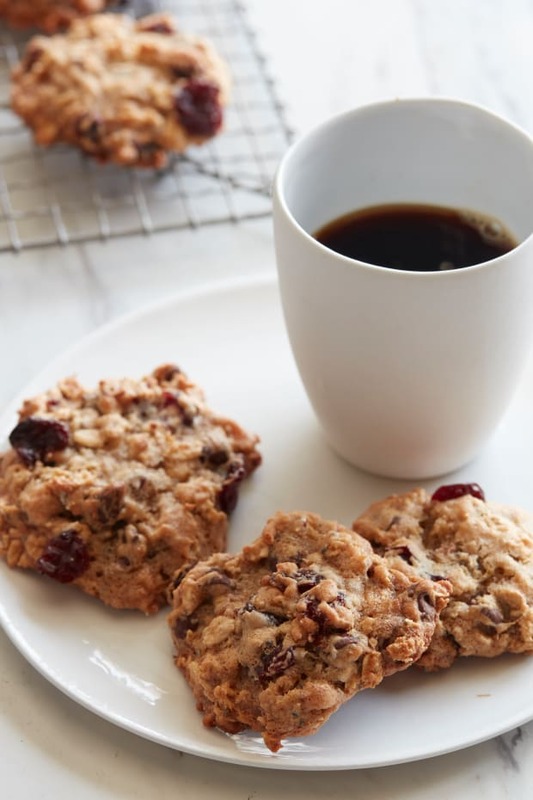 It&apos;s also the type of food I most want to eat and make." 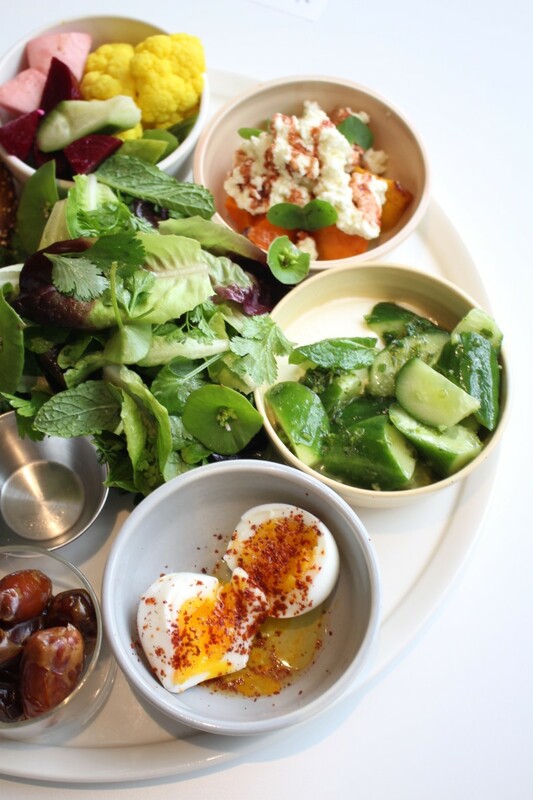 Among the Middle Eastern-inspired "Freekah Polenta," a za&apos;atar squash tart, and lots of labneh and tahini, the crowning glory of their breakfast menu is the Turkish-ish Breakfast. The description of it is vague and meme-inspired ("All the things, served with bread & greens"), but spot on. 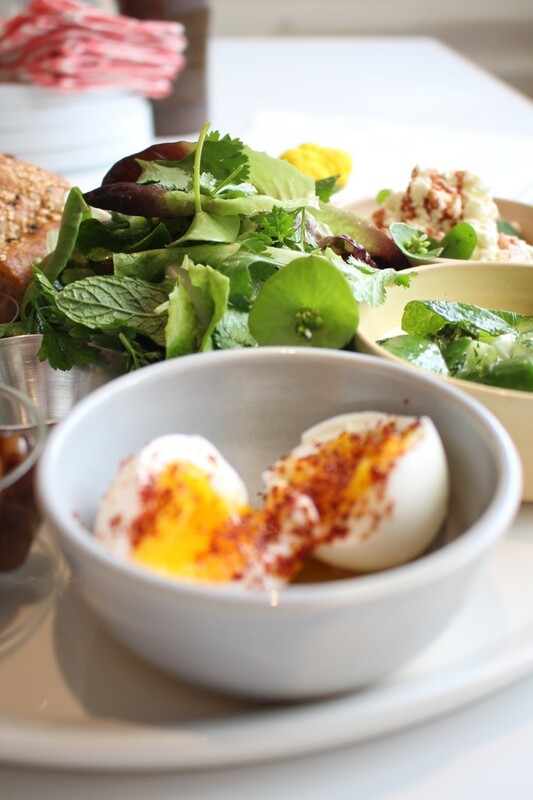 It really does include "all the things" we want at ten in the morning: soft-boiled eggs, crunchy, barely dressed greens, hearty barbari bread, labneh, cheese. In Kramer&apos;s words: "It&apos;s an array of little things you have to pick at. Sarah and I love being able to have variety of a lot of little things at the table, and it lends itself really well to family-style dining." 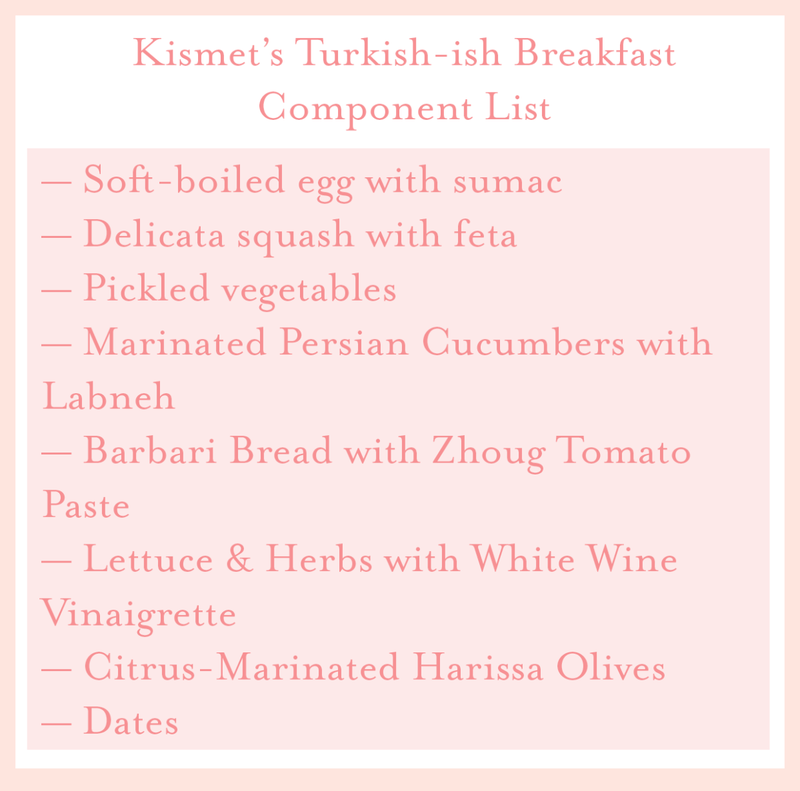 *You can include as many or as few of these components are you prefer—Kramer plans to change Kismet&apos;s menu based on what&apos;s available at the farmers market that morning, and encourages you to do the same. Bring a pot of water to a boil, then add an egg to it so that it&apos;s completely submerged. Boil for six minutes, then remove the egg with a slotted spoon and submerge into an ice bath (or run it under a cold faucet for several seconds). Peel, then add the egg to a small bowl and cut it in half. Add a hearty pinch of smoked sumac, a tiny pinch of Aleppo chile, and a glug of good olive oil. Roast delicata squash until it&apos;s lightly caramelized and can be easily pierced-through with a fork. 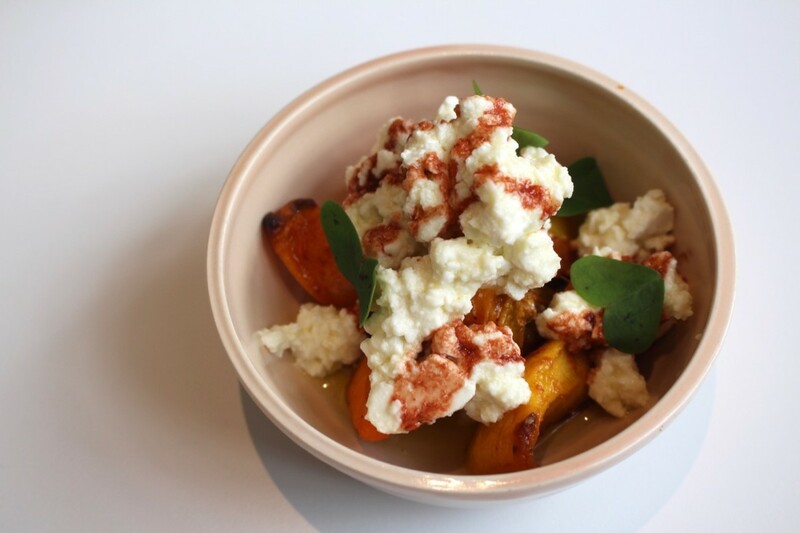 Top with feta (Kismet uses a rich but subtly flavored sheeps&apos; milk feta) and a fruit molasses. Kismet makes their own pomegranate and apple molasses (pictured here), but you can find pomegranate molasses at most Middle Eastern and gourmet food stores. 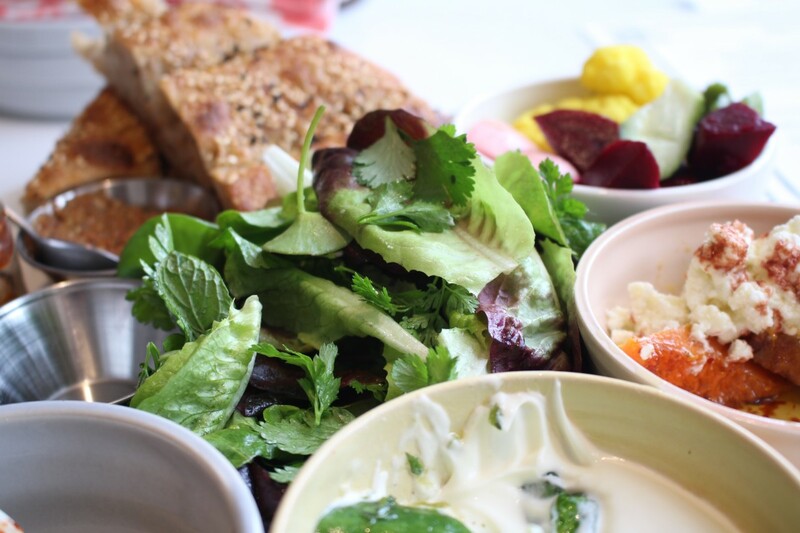 In a small bowl, combine your favorite pickled vegetables. 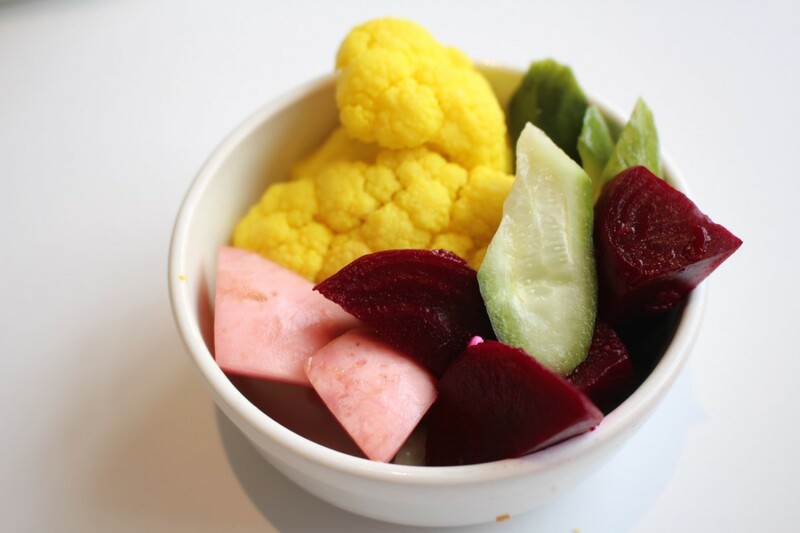 Here, they added spicy radish, beets, cucumbers, and cauliflower. Cut six Persian cucumbers into roughly bite-sized pieces. Marinate in a lemon and herb paste (combine olive oil and lemon juice with diced garlic, thyme, and mint, to taste) up to overnight. 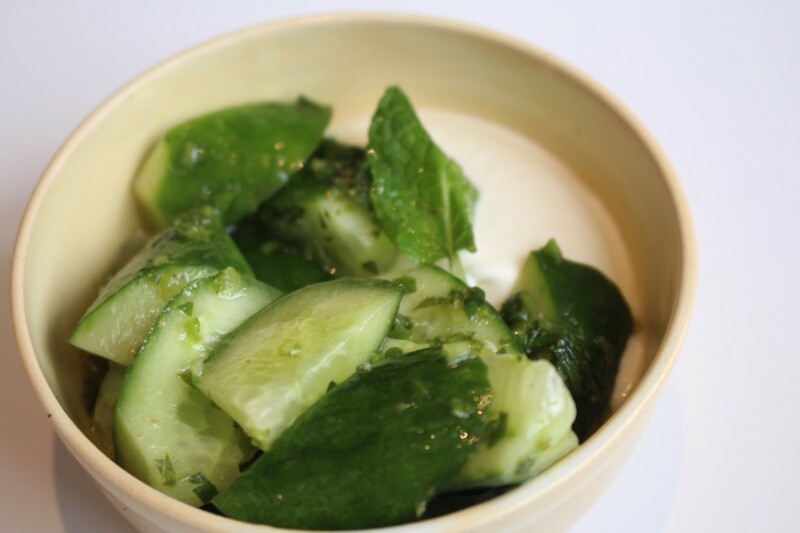 Serve with mint leaves over a dollop of thick labneh. Before opening Madcapra, Kramer and Hymanson were chefs in Brooklyn, but fortunately for us they&apos;ve found what they call an "amazing community with a strong network" in Los Angeles. 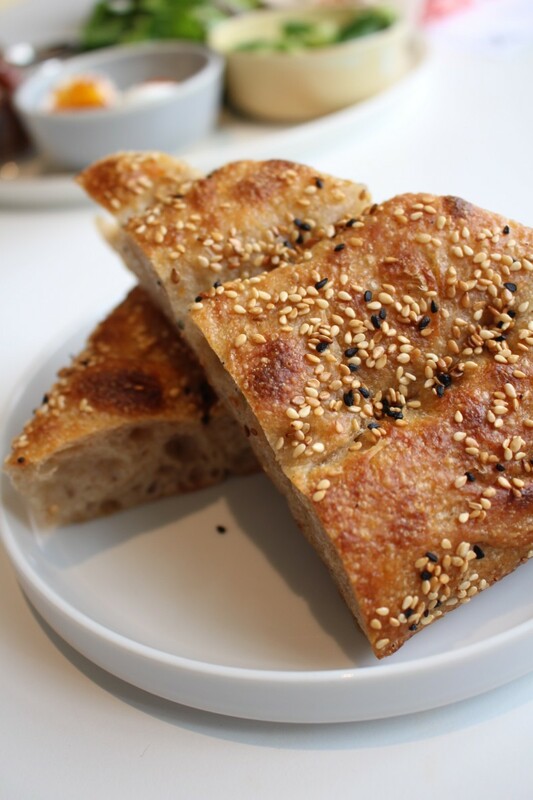 It only makes sense then that they source their barbari bread from Bub and Grandma&apos;s Bread, but if you want to make your own, this recipe from Brooklyn&apos;s Hot Bread Kitchen is a favorite of Leslie&apos;s. It&apos;s the perfect thing to scoop up spicy Zhoug with. 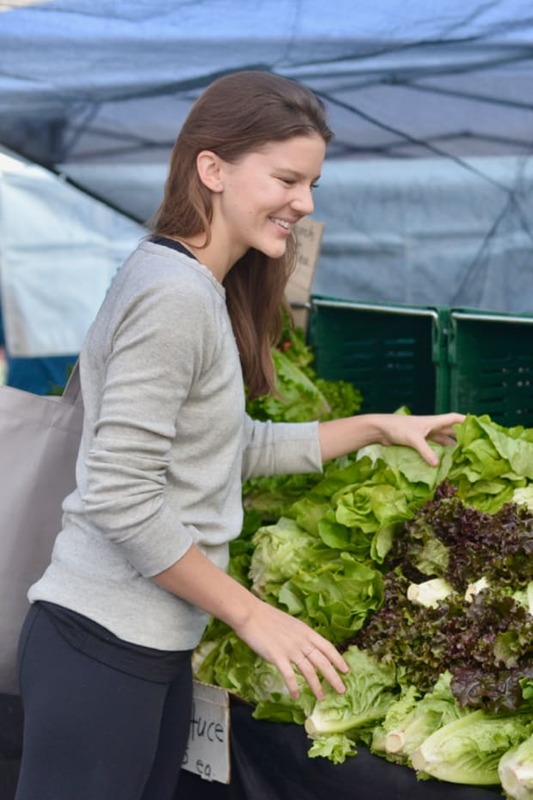 Combine rinsed and dried butter lettuce and whatever herbs you can get your hands on—mint, parsley, nasturtium leaves—in a large bowl. In a separate bowl, make a white wine vinaigrette (roughly one part white wine vinegar to three parts good olive oil, plus salt and pepper). Toss with the greens so that they&apos;re just barely dressed—you want the flavor of the lettuce and herbs to still shine through. 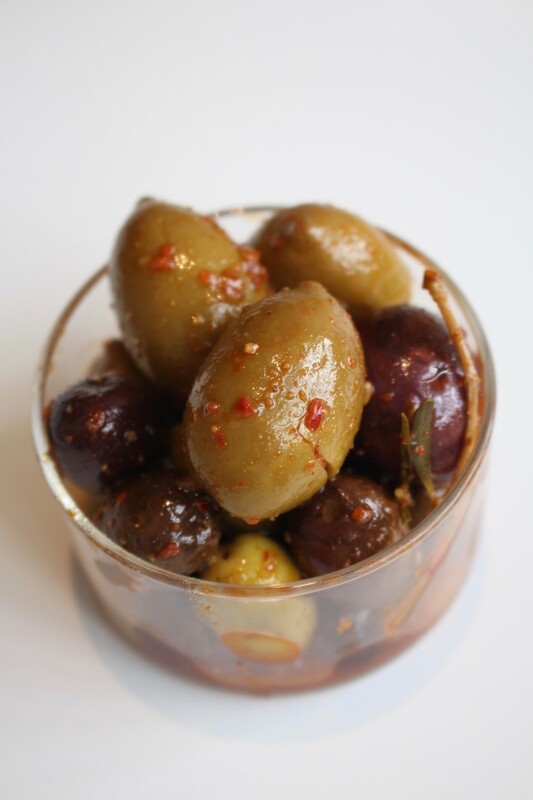 "What isn&apos;t on these olives?" Kramer asks before diving into an extensive list of what is: orange juice, orange peel, olive oil, vinegar, Aleppo, herbs, thyme, and harissa. 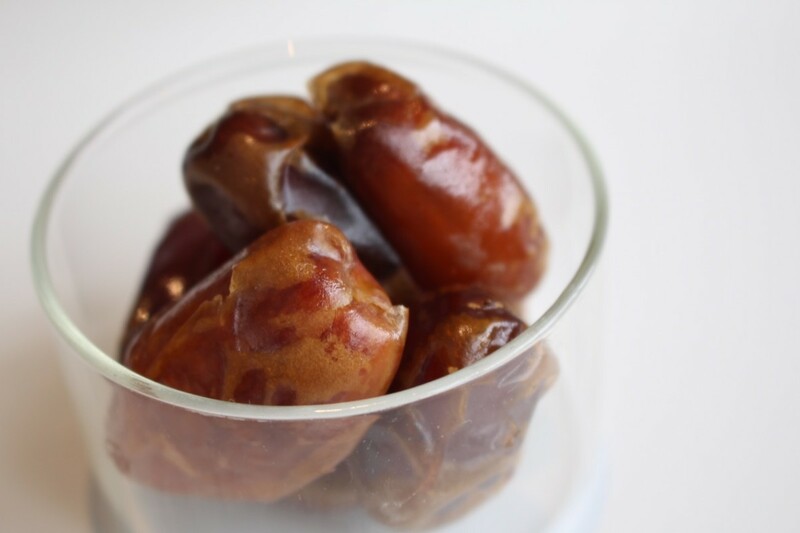 Fruit is an integral part of any Turkish breakfast—you&apos;ll often find figs, tomatoes, pomegranate, and preserves on a platter in Istanbul—but Kismet serves dried dates (pits in) to counter-act the briny olives.